For commercial companies the Paris Agreement might be a small spot on the far horizon but it is only a matter of time before legislation will force companies to comply with the environmental goals. If you are struggling with upcoming or existing environmental legislation or simply want to make your business more effective, please contact us. Green Sea Guard provides a system to track ship exhaust emissions, transmitting data collected from the ship’s exhaust, and sending it to a secure server. Coastguards and other regulators, as well as shipowners, and operators can log in and review the emissions profile of interest. Each device includes a range of security and anti-tamper measures. With the SEEC G100, up to nine gases are nearly real time monitored at high resolution. KuneVerda is exclusive sales agent for Green Sea Guard in Europe and provides design in, installation and business case calculations for inland and seagoing vessel operators. With the Green Sea Guard solution compliance with MRV and MARPOL is easy and irrefutable. With truck platooning individual trucks are coupled by wifi and radar to reduce fuel consumption. The reduction of fuel consumption can reach over 15%! When legislation allows, the drivers in the following trucks can take their rest time resulting in a far greater range/day for the convoy. Truck platooning especially offers advantages when the convoys are created dynamically, based on actual destination and position of the individual trucks. KuneVerda can assist with the implementation of truck platooning and creates a beneficial business model around this advanced feature. 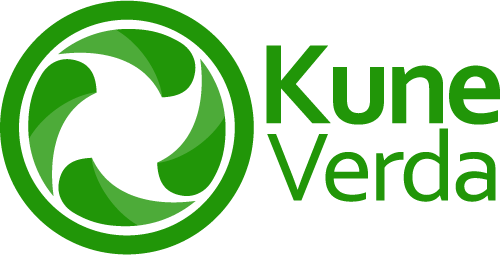 KuneVerda co-operates with different road transport optimization companies. From planning applications to street turn solutions, KuneVerda provides solid solutions with a solid business case. Essential in implementation of optimization packages is the support of the workforce. KuneVerda has professional consultants and coaches to convince your employees of the benefits of high end planning solutions. More and more vans and (small) trucks enter the cities for the distribution of food, webshop purchases, building logistics, medicin distribution and mail. Environmental zones are quickly implemented and different distribution approaches are required. KuneVerda has experts on city distribution, not only with Electric Vehicles but also innovative new distribution concepts and cross docking solutions. KuneVerda participated in several projects where drones are deployed for delivery of packages and surveillance and inspection purposes. Whenever legislation proves to be an obstacle, KuneVerda mediates between the regulator and the initiator of the proof of concept. Drones can be applied for inspection of power lines, chemical facilities, buildings and delivery of payloads in low density urban areas. KuneVerda has experience in unattended (autonomous) solutions as well as (semi) controlled operation of drones. KuneVerda has expertise in the application of block chain technology for logistics purposes. Block chain provides an ideal solution for synchronizing the administrative proces with the cargo movements and money flows. KuneVerda participated in several block chain related solutions, national and international, to improve efficiency in the cargo transport processes. Instead of deep exploration of the technical aspects of block chain, KuneVerda focuses on the application of the technology for commercial purposes. KuneVerda cooperates closely with Cenza Technologies. Cenza is specialist in outsourcing of your (logistical) back office activities, providing optimal performance, optimal efficiency and therefore a sustainable solution. The KuneVerda/Cenza solution not only provides you with a 40% cost reduction, but also improves your workforce flexibility, administrative accuracy and quality. KuneVerda & Simply Deliver provide a easy to use, low treshold application for your delivery service. Regardless whether it concerns packages, containers, pallets or grocery's, Simply Deliver organizes your shipments, tranports and drivers. A fully cloud-based software package for the planner and just a mobile phone app for your drivers is all you need to track and trace your deliveries including proof of delivery and automated pick-up and drop-off geo-fence based technology.